NEWPORT BEACH — Residents, boaters and other harbor users are invited to provide input on establishing a seasonal anchorage in the harbor, to be used during the peak boating season. 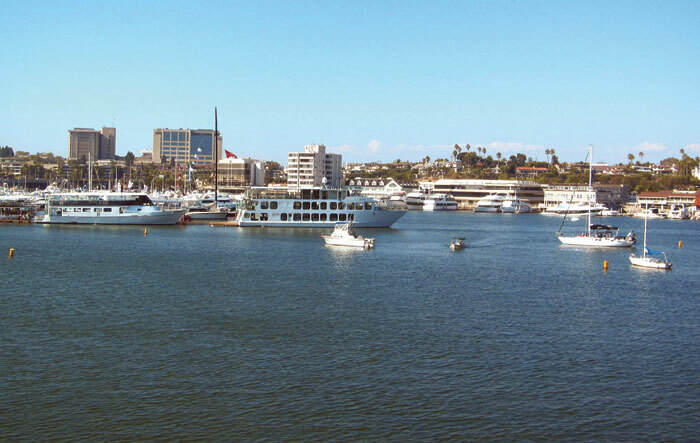 The item will be discussed during the Newport Beach Harbor Commission’s April 10 meeting. Providing boaters with a second site to drop anchor has been a long-standing item of discussion since 2004, when a former Harbor Commission tossed out the idea. In 2012, the Harbor Commission assigned a subcommittee to study the feasibility of a seasonal anchorage, after the harbor’s sole anchorage was relocated during an extensive dredging project. “We are now at the point where we see a possibility for it to be a temporary anchorage during peak summer months,” said Commissioner Brad Avery, who sits on the subcommittee along with commissioners Duncan McIntosh and Doug West. The field east of Lido and east of Bay Island was temporarily relocated to the west of the Lido Isle Bridge — just inside the Lido turning basin — to make way for dredge operations in the harbor. The subcommittee spoke with anchorage users, residents, Orange County Sheriff’s Harbor Patrol officers and charter boat captains to assess concerns and reviews of how the anchorage worked. “We have heard from a number of people using the temporary anchorage during the dredging who thought it was terrific,” Avery said. As proposed, the anchorage would accommodate up to 12 vessels ranging from 30 to 40 feet in length, from June through August. Users would abide by the city’s anchorage ordinances that allow a stay of up to five nights. Although boaters appreciated the alternative mooring option, some nearby residents did not, complaining about noise coming from the anchorage, subcommittee members reported. However, many of those complaints were misdirected at the anchorage, Commissioner McIntosh explained, stating that the noise was actually caused by raft-ups, not anchorage users. Raft-ups also caused navigation problems for a few businesses operating charter boats in the harbor. The noise concerns will be addressed, Avery said. Other considerations include identifying shoreside facilities and a nearby dock for those using the anchorage. Currently, users of the permanent anchorage do not have access to any shoreside facilities. Most take a dinghy over to the 18th Street public dock, which does not appear to have been a problem for the boaters. Establishing the seasonal anchorage would fulfill the Harbor Commission’s charge to provide access to the harbor, give more options to boaters and give local and visiting boaters a low-cost option to enjoy the harbor. It also provides another venue for local slip and mooring holders. “It’s another way to enjoy your boat, away from your slip,” Avery said. Users can simply drop the hook and enjoy the harbor, instead of having to drop by the Harbor Patrol office to be assigned a mooring, and then pay a fee. If approved, the Harbor Commission plans to look at establishing a dock for those utilizing the free anchorage. The seasonal anchorage will be on the Harbor Commission’s April 10 agenda. The meeting is scheduled for 6 p.m. at 100 Civic Center Drive.